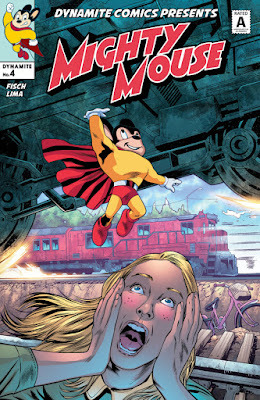 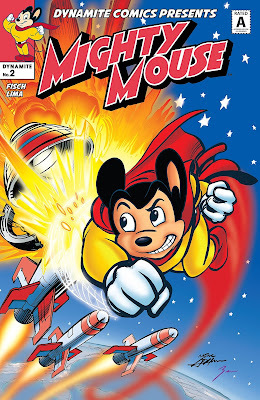 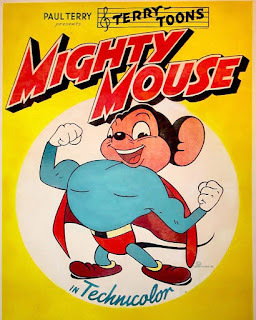 Created by writer Izzy Klein as a cartoon parody of "Superman" for producer Paul Terry's "Terrytoons", "Mighty Mouse" debuted in the theatrical animated short "The Mouse of Tomorrow" (1942), gaining his 'super-powers' by eating food from a 'super-market', giving him the power of flight, super-strength, invulnerablity, X-ray vision and telekinesis. 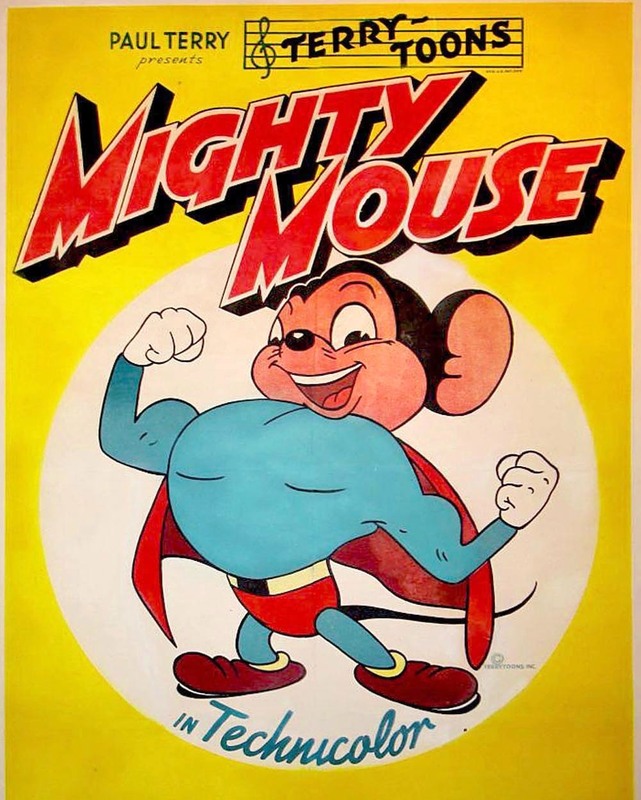 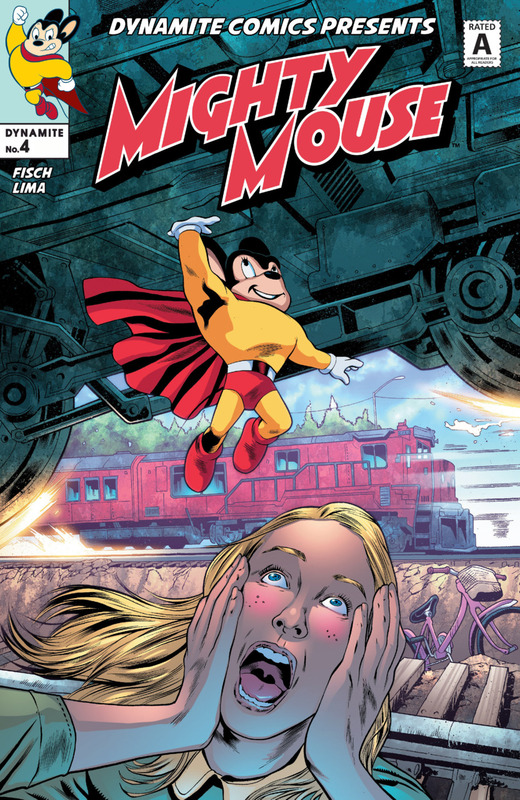 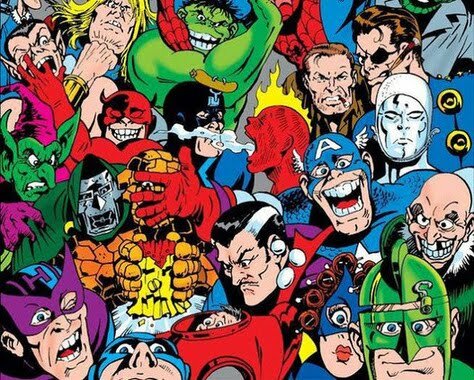 'Mighty Mouse' was originally voiced by actor Roy Halee, Sr., followed by Tom Morrison, with the early cartoons portraying him as a ruthless fighter, able to tangle with evil cats. Mighty Mouse had two rodent girlfriends, including 'Pearl Pureheart' (in the cartoons) and 'Mitzi' (in comic books during the 50's and 60's). 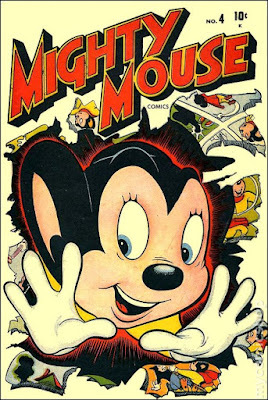 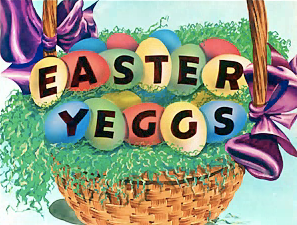 Terrytoons was sold to CBS television in 1955, with the network airing the cartoon shorts on the "Mighty Mouse Playhouse", remaining on the air for twelve years. 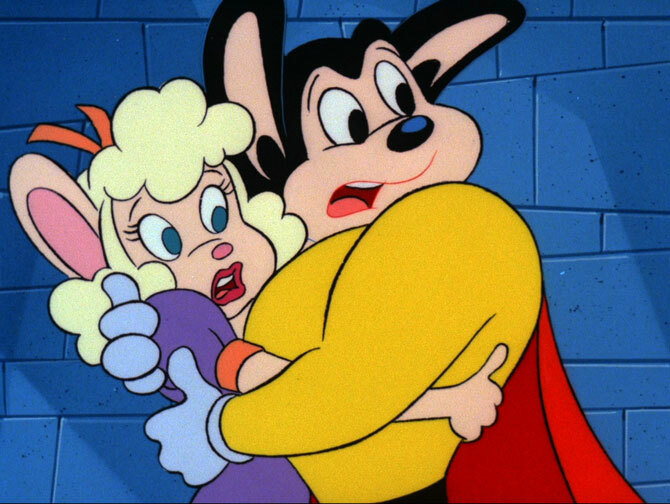 A deliberately 'subversive' Saturday morning cartoon TV series by animator Ralph Baskhi, "The New Adventures Of Mighty Mouse" was cancelled after 2 seasons, following reports of the character snorting drugs in one episode.